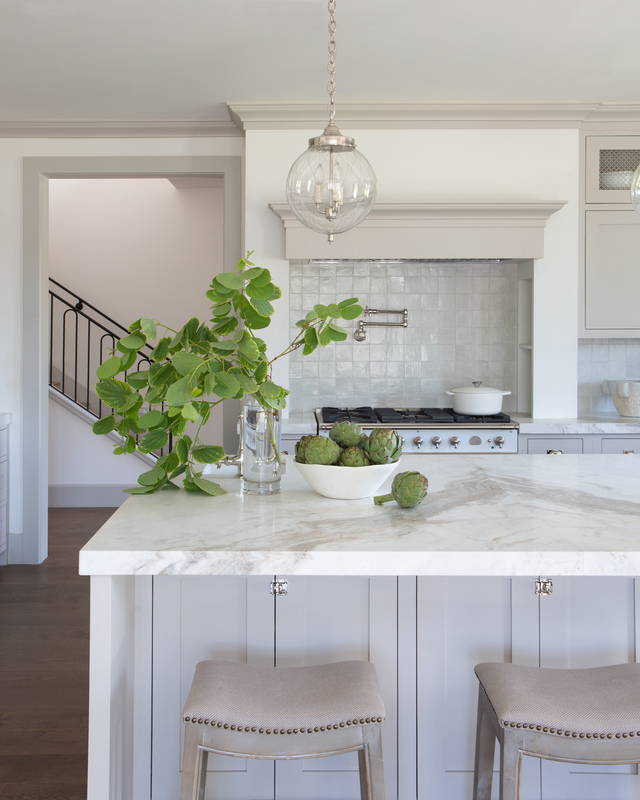 Bring a natural element to your kitchen by decorating your kitchen with an abundance of fresh green foliage. 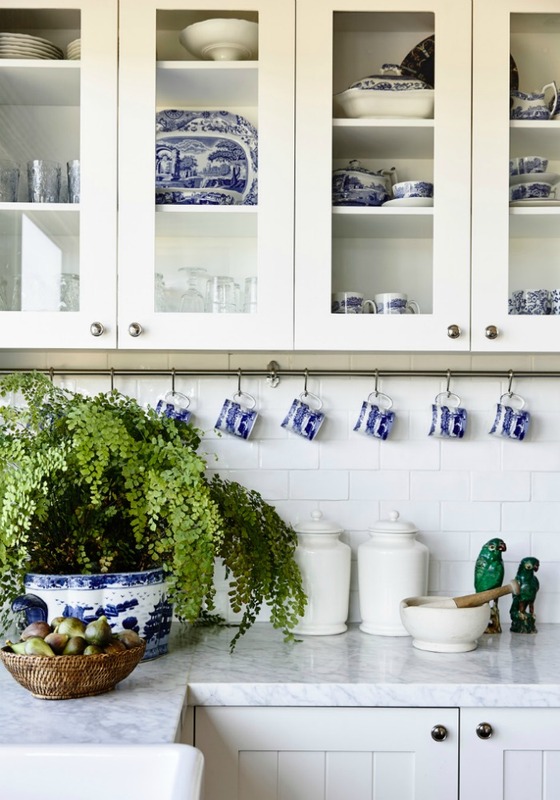 Grab your secateurs and head out to the garden to gather some green foliage to display in your kitchen. 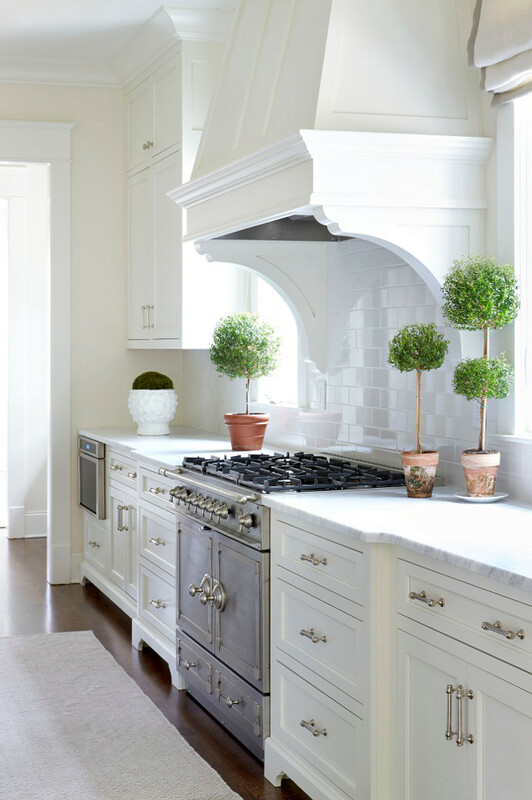 Today I have some beautiful kitchens and inspiration for displaying green foliage. 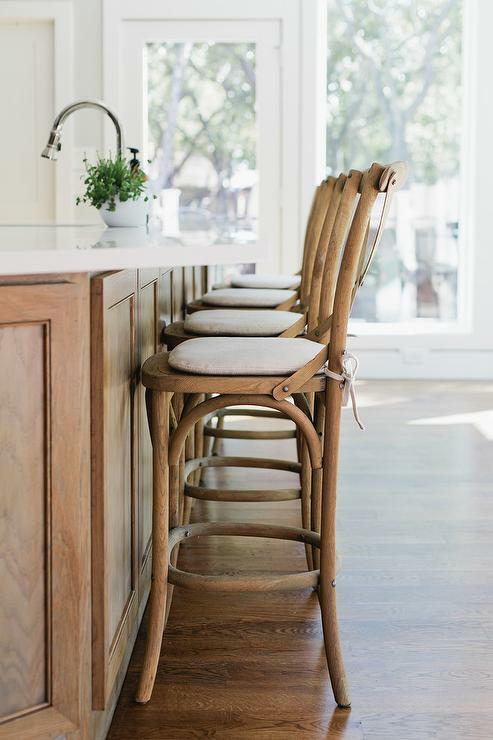 Today we are going to talk about adding a designer look to your kitchen by decorating with greenery. 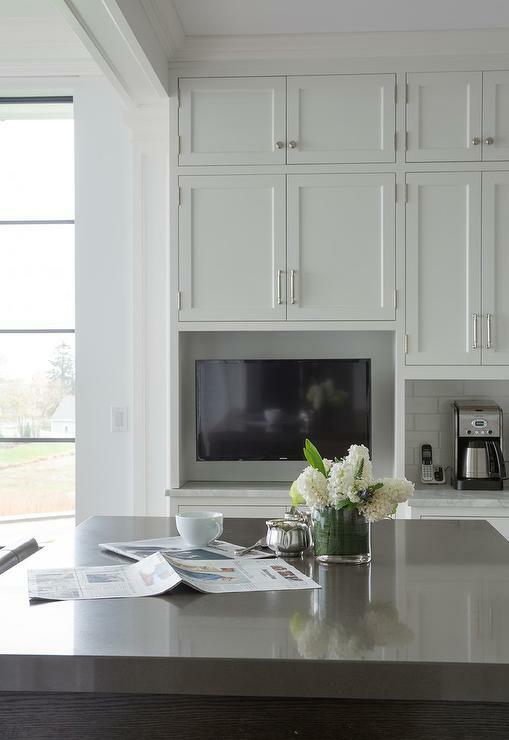 This designer look will fit any decor budget and bring in a natural element to your home. 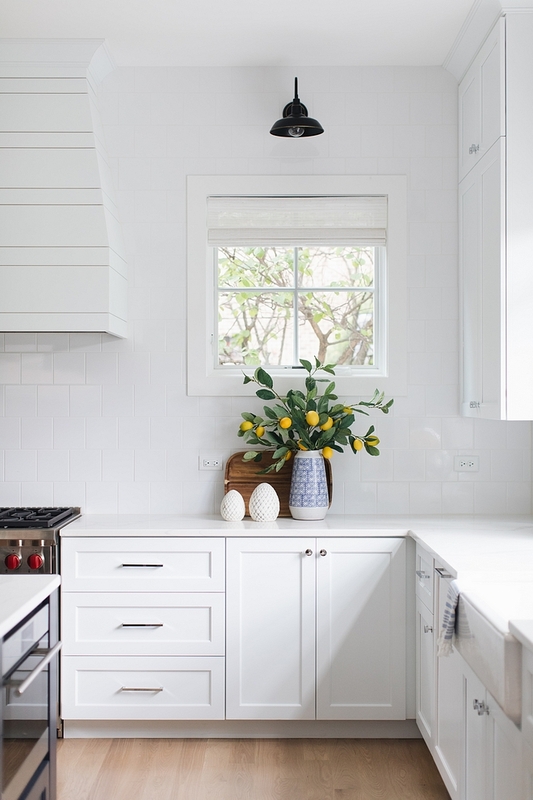 This kitchen above is one of my favourites, with a tall vase of lemon tree foliage. You can use any fruit tree you have in the garden. 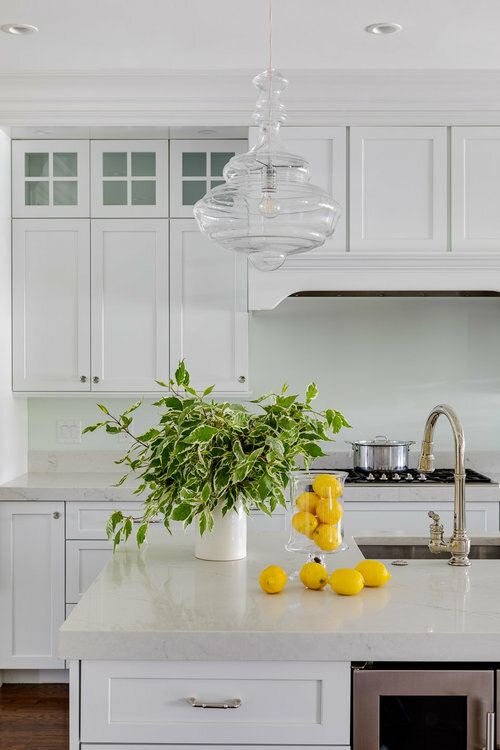 Image | Digs Design Co.
Yellow accents add a cheerfulness to this white shaker cabinet kitchen with a generous bunch of lush greenery from the garden. 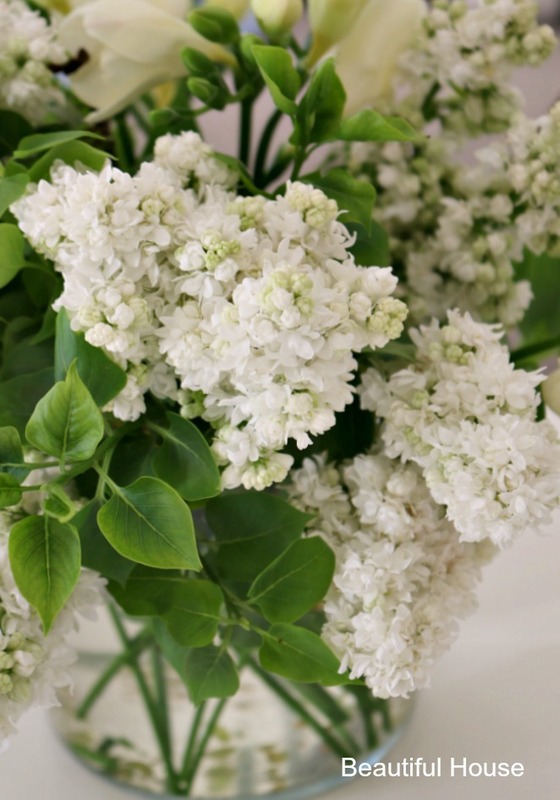 From a small bouquet from the garden to a leafy bunch of eucalyptus and herbs there are so many ways to fill your home with fresh green accents. What do you have growing in your garden that would make the perfect designer green accent for your kitchen?